When French Montana Instagrammed the cover of his upcoming Excuse My French album, he declared in the photo's caption that we would "not be disappointed." "Ain't Worried Bout Nothin'," a very obviously Future-inspired piece of that puzzle is a promising omen to his declaration. The single is already available for purchase and if that alone doesn't quench your thirst for French, it appears that he's featured on the remix of ASAP Ferg's underground hit, "Work." Excuse My French is out May 21st. 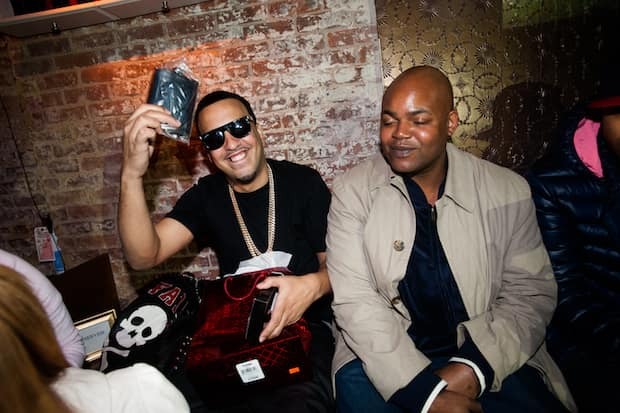 Stream: French Montana, "Ain't Worried Bout Nothin'"